The combination of our profound expertise in protein expression and conjugation with consumer knowlegde from our Laboratory Services unit enables us to give optimal advice to our clients. To find the best solution for your application we select between tailor-made solutions or standard procedures. Recombinant proteins, antibodies and conjugates are developed according to customer specifications and can be produced up to preparative scale. In dialog with the customer we exploit for each task the optimal technical solution. Microcoat provides high-quality and cost-effective contract fermentation and downstream services for recombinant protein production. Microcoat owns modern fermentation and downstream-processing equipment that is operated by skilled and experienced professionals. Bench scale and pilot scale fermenters up to 30 L are available for fermentation development, optimization and production. 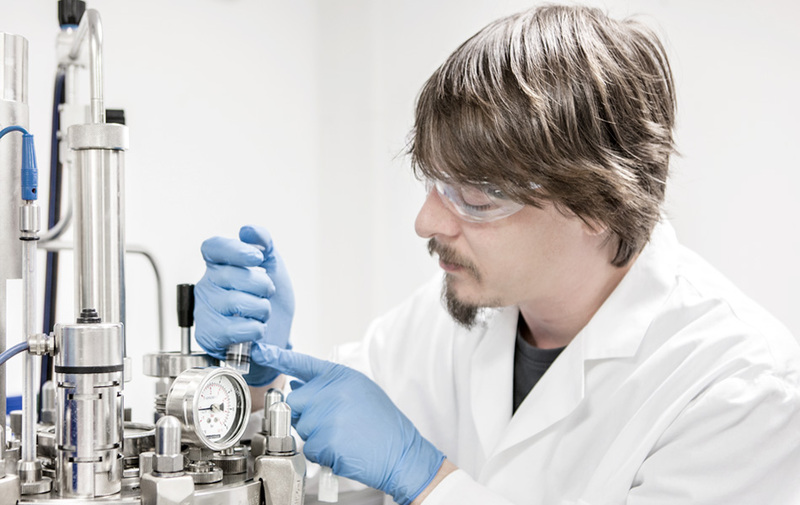 The fermentation material is further processed and purified following either transferred protocols or specifically adapted purification protocols (after a development and optimization phase). Our primary expression hosts is E. coli. Fermentation protocols for different strains are established. For expression of more challenging proteins eukaryotic expression systems are available. Antibodies represent the most essential component in nearly all immunoassays. Their quality strongly influences the performance of the assays and lot-to-lot variances can lead to readjustment or even revalidation of a developed test. To be able to control the quality of a final diagnostic product at all points of the production process, Microcoat preferably purifies and modifies antibodies in house. But we also share our experience to make the best out of your antibody as a stand-alone service. For polyclonal or monoclonal antibody purification from serum and culture supernatant we rely on a set of well-established and proven standard procedures to optimize yield, purity, and immunoreactivity of your antibody. 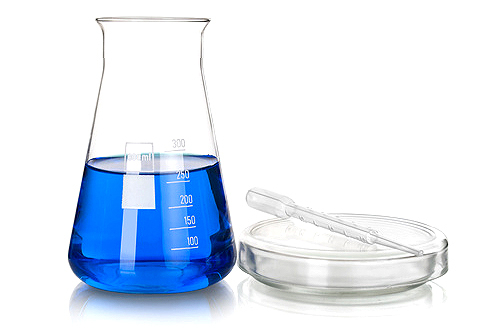 For challenging specifications regarding purity and cross-reactivity specific resins for affinity chromatography or immunoadsorption can be custom-made. For quantification, purity assessment and functional testing different analytical methods are available (UV/VIS, HPLC, SDS-PAGE, Western Blot, ELISA, Biacore®). Within the framework of a custom development project, Microcoat also cares about the coordination of all steps of an antibody production project. Animal immunization and phage display screening are conducted in collaboration with experienced and certified contract partners. Enzymatic or chemical antibody modification can be required to reduce undesired non-specific effects or to improve sensitivity. Depending on your requirements, you can choose between cost-effective standard conjugation procedures or you rely on our profound expertise in assay development, conjugation and protein chemistry to develop the optimal conjugation strategy. Dependent on the later application, a number of variables need to be considered like the type of conjugate, degree of labeling or protection of potential epitopes. Standard conjugation protocols are often not suitable for proteins sensitive to aggregation and buffer exchange or for dilute protein solutions. Our customers stay in close contact with our conjugation specialists during planning and realization phase. We can accommodate virtually any scale, from small scale R&D to full prep scale. Labeling of antibodies or antigens with e.g. Streptavidin gold (40 nm), streptavidin latex (blue, 500 nm) and streptavidin magnetic particles can be ordered from stock. They only have to be conjugated with biotinylated antibodies, antigens or binding proteins. This step can be performed either in our labs or at the customer’s side. Microcoat’s proprietary procedure provides gold conjugates with excellent stability and lot-to-lot reproducibility. Colloidal gold is conjugated to streptavidin. This conjugate is very stable and can easily combined with any specific component. The specific component (e.g. antibody) is mono-biotinylated according to an established procedure in order to avoid aggregation. Combination of streptavidin gold with the mono-biotinylated protein yields stable gold conjugates. Streptavidin gold is available from stock.